The MERIT team in Mongolia has undergone many changes over the last few months! Here’s an introduction of the team and a little about what we’ve been up to. 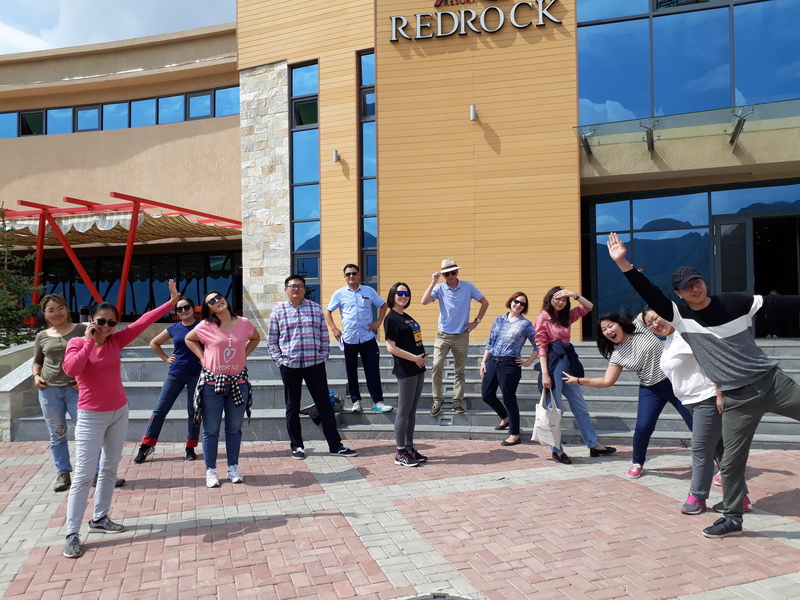 MERIT has a staff of eighteen professionals based in the head office in Ulaanbaatar (UB), Mongolia, who each bring a diverse set of experience and skills to the project. Staff members are bilingual in English and Mongolian. Under the leadership of Jennifer Adams, the Project Director, the team implements the MERIT project at the national, provincial and district levels. Our Project Officers in UB and the four provinces work closely with local government agencies and partners to enhance collaboration among key stakeholders and between local and central level agencies responsible for managing the resource sector. Our Project Coordinator and Office Assistants/Drivers play important roles supporting logistics such preparing relevant information, booking flights and driving to the provinces. 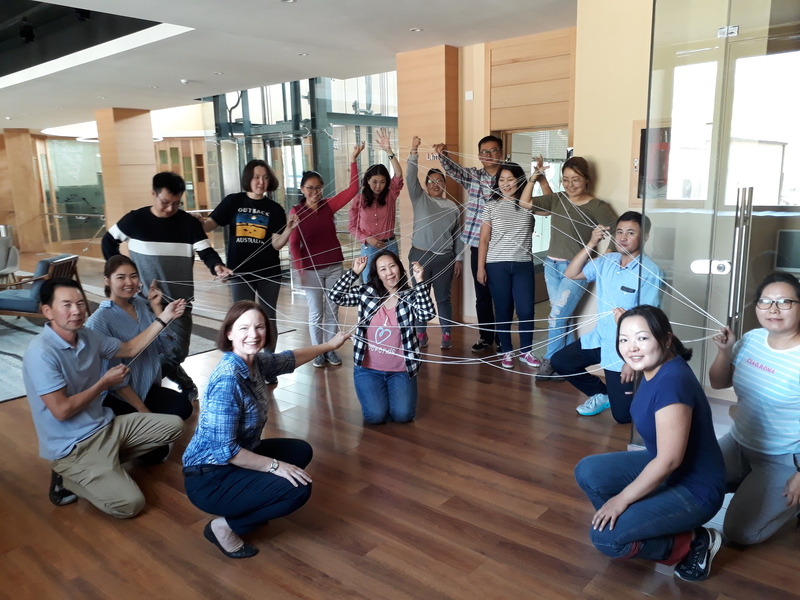 The project team in Mongolia works with both long and short-term Technical Advisors (TAs) to provide strategic and language support through assignments where best practice, experience, new approaches, tools and systems, are shared and adapted to local needs. MERIT staff provide support to the TAs throughout their assignments, providing helpful contextual information, networking opportunities and translation. Since its inception in 2016, MERIT has deployed five long-term and 72 short-term TAs, who have trained 1,640 people and mentored 522 people. The training materials, presentations, videos and reports are translated from English to Mongolian by the project’s translator and, with permission from the TAs, uploaded onto the newly created Knowledge Portal where public servants and partners can access them at any time. To further strengthen MERIT’s teamwork and communication, a staff retreat in August 2018 brought together all of MERIT’s staff members. The retreat served as an opportunity to reflect on the project’s performance, identify our values and vision, and define the role of each member within the MERIT team. The fun-filled retreat engaged the staff in various discussions around the project, which involved an in-depth analysis of the project progress and discussions around areas for improvement and innovation. The exciting team-building activities highlighted the team’s diverse strengths, enhanced team communication, and solidified understanding of the project’s wider scope. The team has a shared vision and is well prepared to support TAs throughout their assignments and to support partners in the follow-up on recommendations. Click here to see a short video of our retreat!